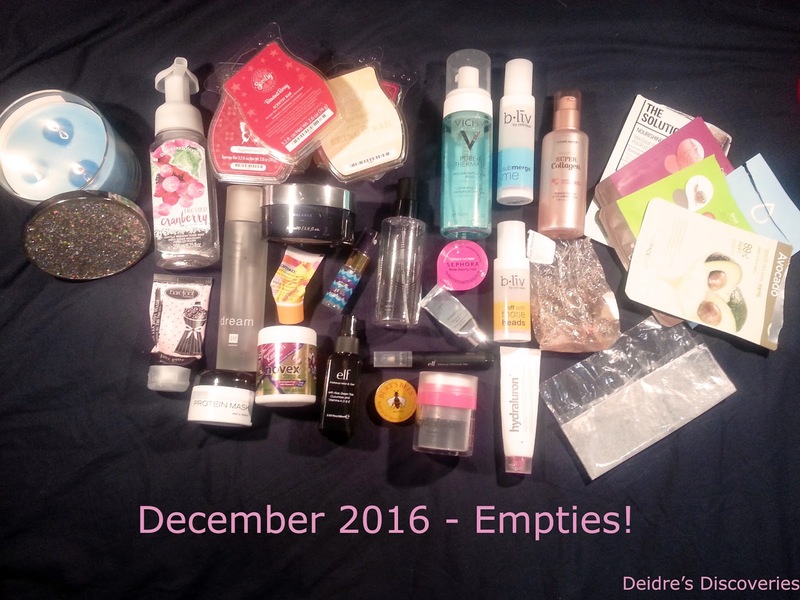 Deidre's Discoveries: December 2016 - Empties! Another month over! Wait! It's the end of the year! Can you believe it? I know almost every month I am surprised at how fast the time has gone, but really. 2016 is over! Each month I try and use up some more of my stash, and this is how December 2016 went for me. Looks like I have a lot to cover, so let's just get right into it! Carrot Cake - Irresistibly sweet, nutty, warm and spicy, just like carrot cake. Sugared Cherry - Savor the changing seasons as frosted cherry and concord grape are sweetened by a pop of pomegranate, vanilla sugar, and candied apple. BananaBerry - Slightly tart and definitely juicy red strawberries jumbled with smooth yellow bananas and luscious bavarian cream. Cutiepie Cupcake - Sweet clementine and yellow cake batter with vanilla and sugary icing. Raspberry Bush - Luscious raspberry jam and black plum are quietly cooled by a sprig of wild mint. Caribbean Escape - An island breeze of fresh pineapple, casaba melon, and creamy coconut. Marshmallow Fireside - Toasted marshmallows and vanilla cream blend with the comforting aroma of rich smoldering woods. I received this in my Miss Blanco Joyful Box for November. I didn't find that this did much in the bath. I got two uses out of it. There wasn't many bubbles if there was supposed to be, and I found that it didn't really hydrate my skin either. I wouldn't repurchase this in the future. I love the smell of this. I got it last year in the BOGO sale, and I was hoping to get another this year, but unfortunately I got nothing out of the BOGO sale this year. Anyway that doesn't matter. This smells like Snow Fairy and I got quite a few uses out of it, probably around 5 or 6. It doesn't stain the tub either, and the scent lingers on the skin. I would repurchase when it becomes available again. This wasn't bad, but it wasn't the greatest either. I didn't get too many uses out of it, and the scent was not my favourite at all. And it it's pretty pricey considering the size. 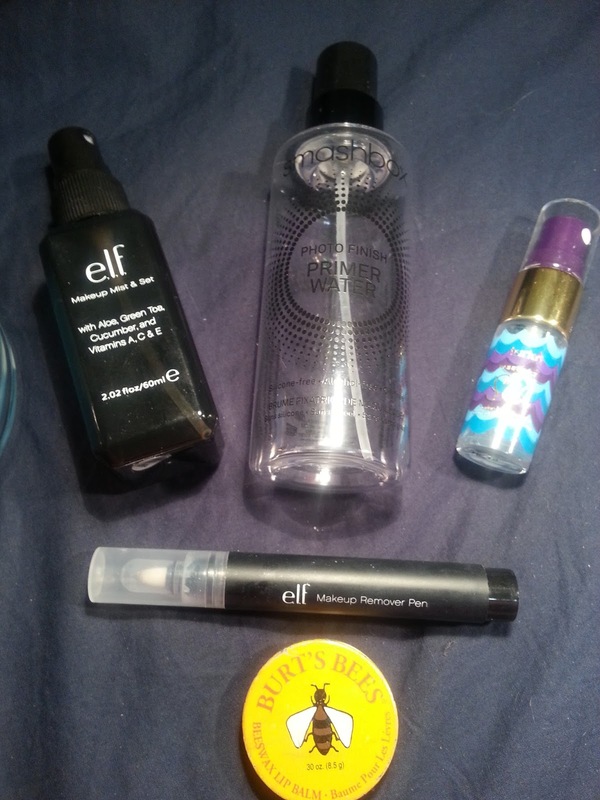 I got this in the October box from Miss Blanco Joyful Box. I wouldn't repurchase this in the future. I love the foaming hand soap from Bath and Body Works and I ordered about 10 during one of their sales. 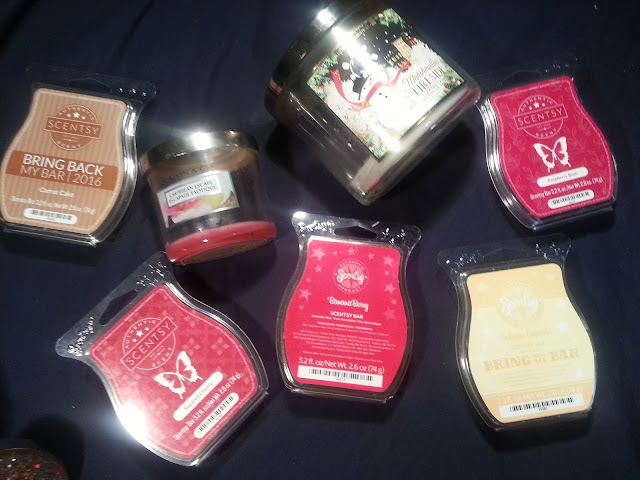 I like this scent, it definitely is fruity and cranberry. I would repurchase this scent in the future. I hate to admit this, but I've had this perfume since probably the year 2000. Yup, 16 years old. This is the description I found online.. "This light fragrance combines the notes of freesia, orange blossom, violet, osmanthus and jasmine, which will remind you of a new romance and the springtime. A small application first thing in the morning will provide you with an aromatic aura that will follow you throughout the day." And its definitely accurate. Although it was light, it does follow you throughout the day. I wouldn't repurchase this now, but I do like it. 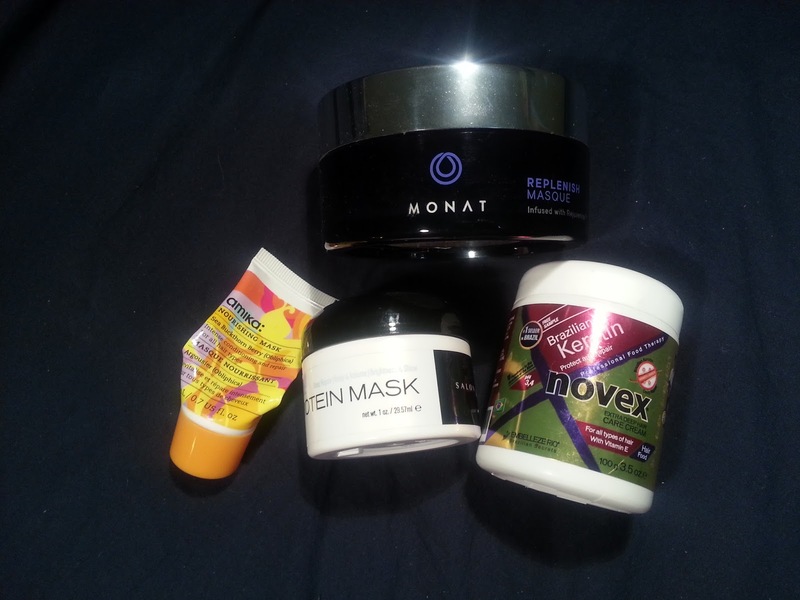 I really used up a lot of hair masks this month, I guess I feel my hair has been extra dry... even before the bleaching! Then ramped it up afterwards. This applies well, but I feel as if it's too expensive for what it really is. I do have a back up but I won't be repurchasing in the future. I was actually really surprised at how well this nourished my hair. My hair felt so silky and smooth after I used it. I only got one use out of it, but I really wanted to cover my hair. I would consider repurchasing this in the future. This did an okay job at hydrating my hair. I got about 3 uses out of it. I hated the smell of it, and it was very runny. I wouldn't repurchase this. I didn't think I'd ever finish these samples when I got them, but I did. This did a good job too. I don't think I would repurchase this one though, just because I feel that the Amika did a better job. I received this from ChickAdvisor in the summer. I really enjoyed this foaming cleanser. It didn't feel like it stripped my skin, or dried it out. It was nice and gentle and also removed leftover makeup after I would wash my face with an oil cleanser. I would consider repurchasing this in the future. This is a skincare booster. I received this last year I believe from B-Liv and I didn't find that it did anything extra to my skin. It did feel nice and hydrated when I used it, but my toner usually gives me the same results. I wouldn't repurchase this in the future. 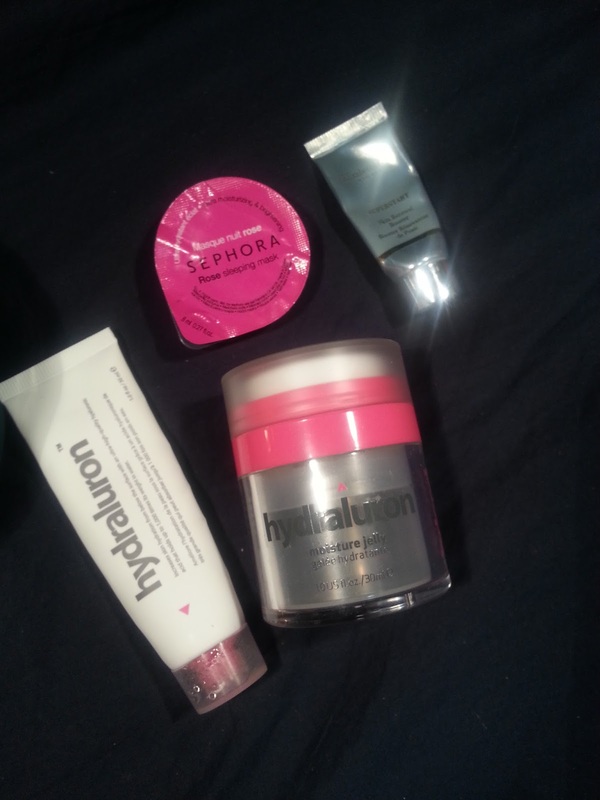 This also came along with the booster last year, and it was my favourite product then. As I continued to use it, I continued to like it. It really did make getting those blackheads out much easier. I didn't notice my skin was producing more oil like the bottle said it might. It did sting a little each time I used it, but nothing bad. I would consider repurchasing this in the future, or finding a product that is similar. I really liked this stuff when I received it as a sample awhile back, but after I purchased the full size, my skin decided it hated it. Every time I would use it, I would have a new pimple the next day. This is more of a toss than an empty. I wouldn't repurchase it in the future. 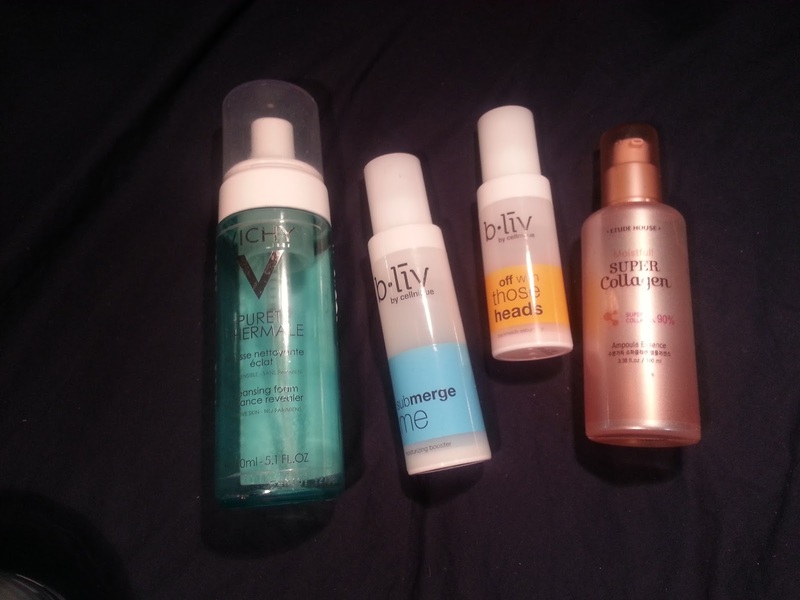 I liked this serum, but I found sometimes it made my skin feel more dry after I applied it. I always layer products but it felt while I waited for this to dry and move onto the next, it sucked the moisture right out. I did get this for like $5 in the summer, but I don't think I would repurchase it. This was such a weird consistency. It was more of a jelly, but in the container it was super bouncy. I felt like I couldn't finish this all just because of the way it came out of the top. This also was $5 when I purchased it, but again, I didn't feel like it did much for my skin. I prefer cream moisturizers over gels. This is the second rose sleeping mask I've used from Sephora and I really love them. I got about 5-6 uses out of this little pod, which is great. It really moisturizes my skin, and the fragrance isn't too heavy. I have another in my stash, and I will repurchase more in the future. I need to get through some more products first though. I didn't find this did much for my skin either. I'm sure it's expensive as well because it's Elizabeth Arden. I wouldn't repurchase this in the future. When I first got this, I kind of liked it. But as time went on and I tried other brands, I liked it less and less. It didn't set my makeup, and it made me look a little greasy. The nozzle also didn't dispense the mist well either, it was very uneven. I wouldn't repurchase this. I think I can officially say, out of all the primer waters/mists, this one is my favourite. It cools my skin, I can use it before, during, or after applying makeup, and it works well for me. I still have to try the MAC fix+, but I'm happy with the Smashbox for now. I've already repurchased another full size bottle. I liked the smell of this, and as I said in my previous empties post, I liked how it sprayed and felt on my skin, but I didn't notice any changes in my skin either. I wouldn't repurchase this. I kind of liked this when I first got it. It really came in handy if I made a booboo on my eyes but didn't want to wipe it all off. Especially with winged liner. Although, it wasn't as fine tipped as it could have been, so sometimes it got off more than I wanted. It was also oily so you had to wait for it to really dry before applying over top. I probably wouldn't repurchase it just because it dried out so quickly, and I didn't reach for it too often. I love Burt's Bees lip balm. If you're ever having chapped lips, these are the way to go. They provide my lips with comfort, and relief. And even if they aren't chapped, they are just great quality balms. 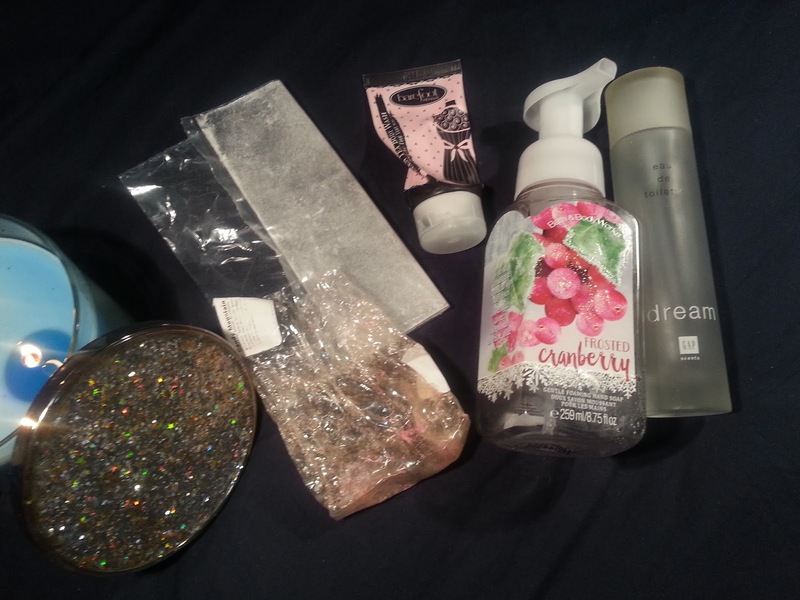 I have a ton in my stash so I don't need to repurchase any. 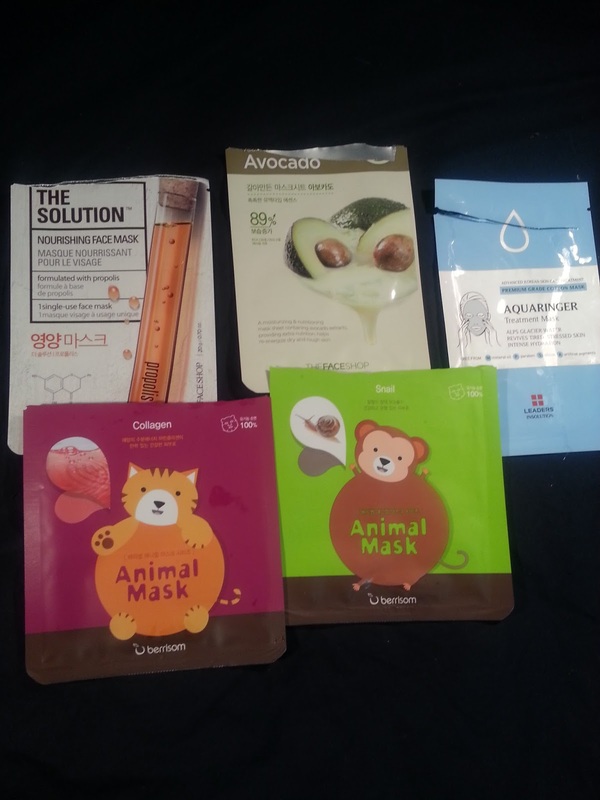 I'm not going to go into detail about the sheet masks, just because I feel like it's so repetitive at this point. But I did finish up 5. I need to work on using more each month. I will say that The Solution Nourishing Face Mask was my favourite this month as it provided a lot of moisture for my dry skin. It also has bee propolis which is great for dry skin! I'd repurchase that one for sure. So this month I used up a total of 34 products! I'm pretty happy about that! It works out to be about 1 a day, hopefully I can keep this trend up! My First - Five on Friday!